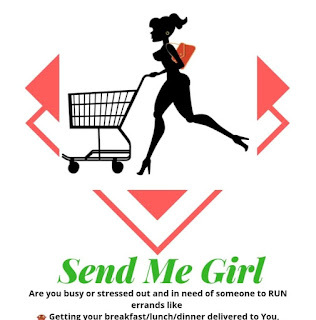 Send Me Girl Concierge And Errand Services does Pick ups and deliveries, will tend to your Market errands and what's more? Send Me Girl also also sells leather foot wears and accessories to shield your foot from hot Abuja streets. Send Me Girl stands out amongst all. Its a Concierge service operated by one of the most reliable Nigerian who is only out to make some legitimate income for herself. How Do I Contact Send Me Girl Concierge And Errand Services? Looking for how to contact Send Me Girl Concierge And Errand Services and have your hectic errand done for you? With Send Me Girl Concierge And Errand Services, you don't need to worry about anything, just place a call and its done.